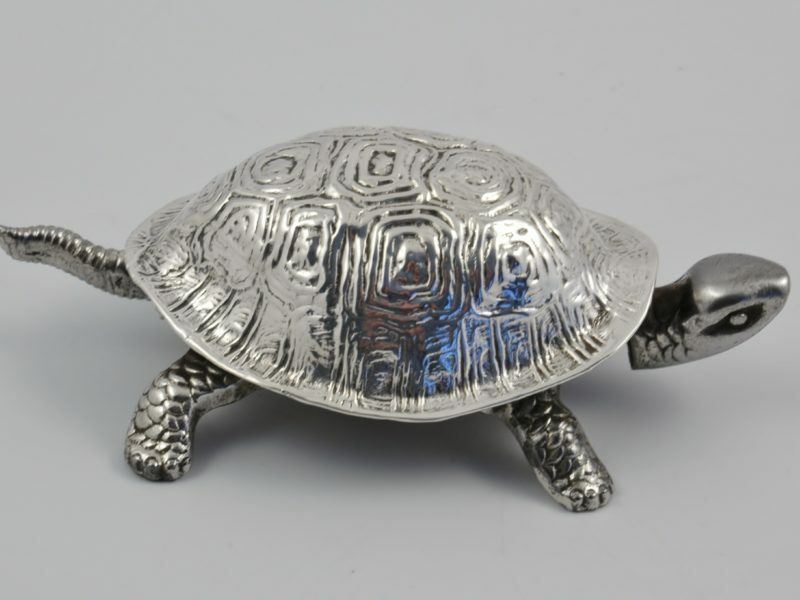 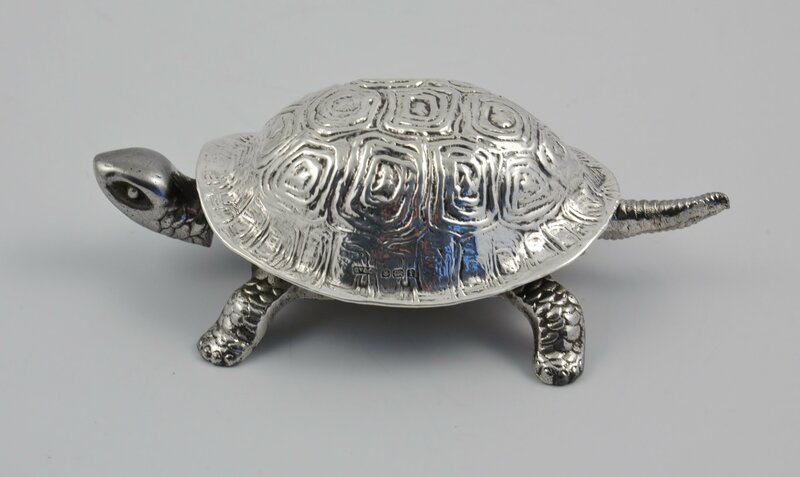 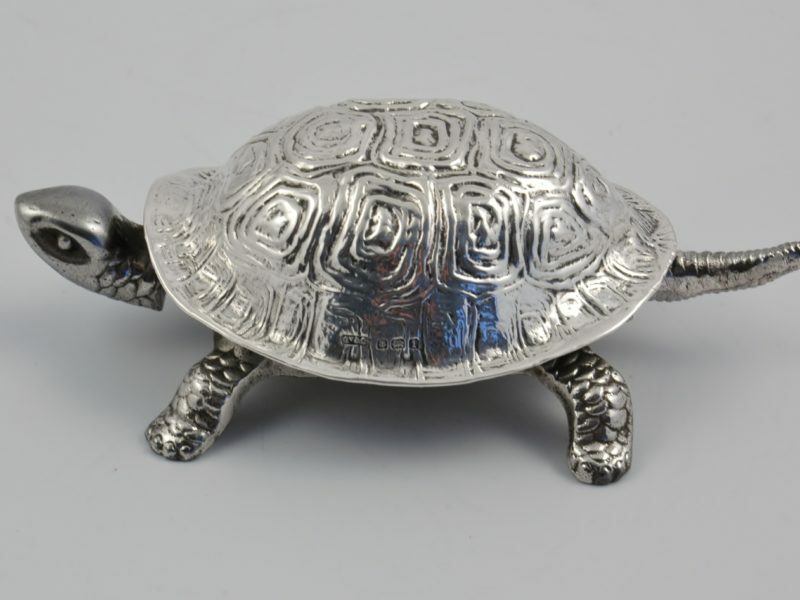 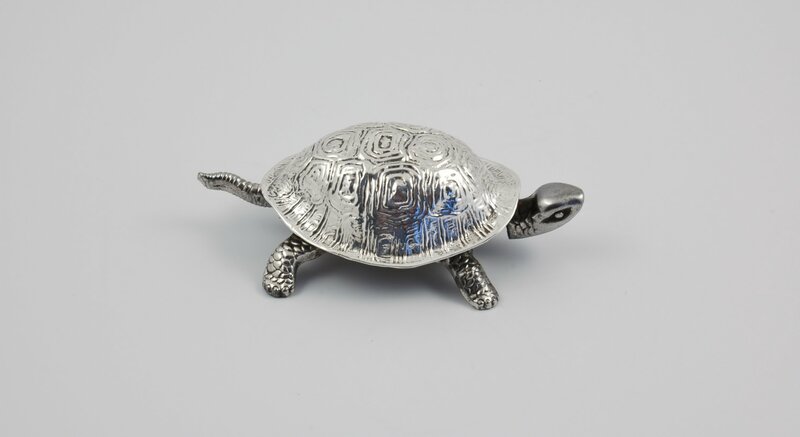 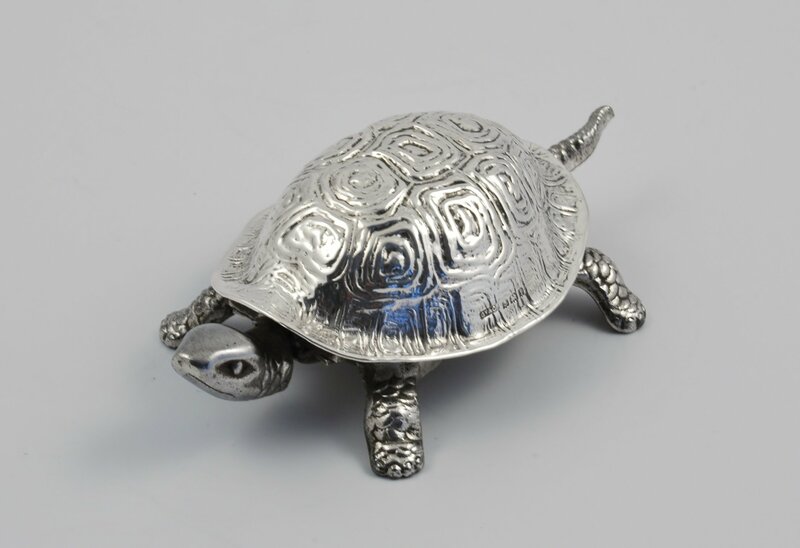 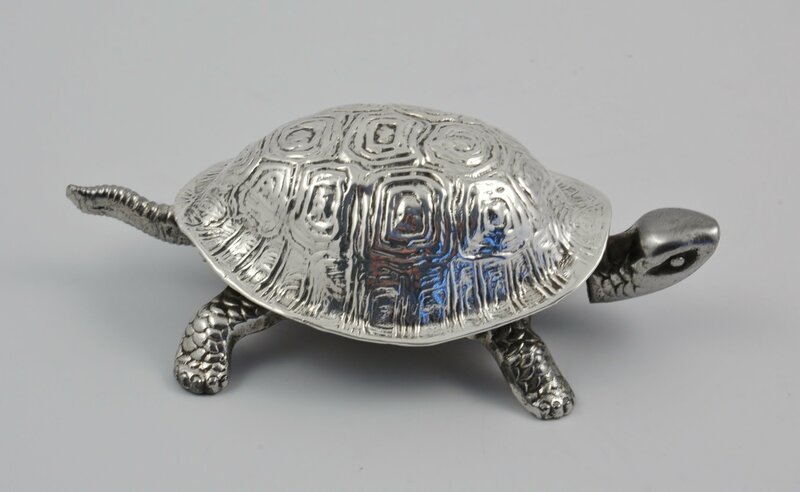 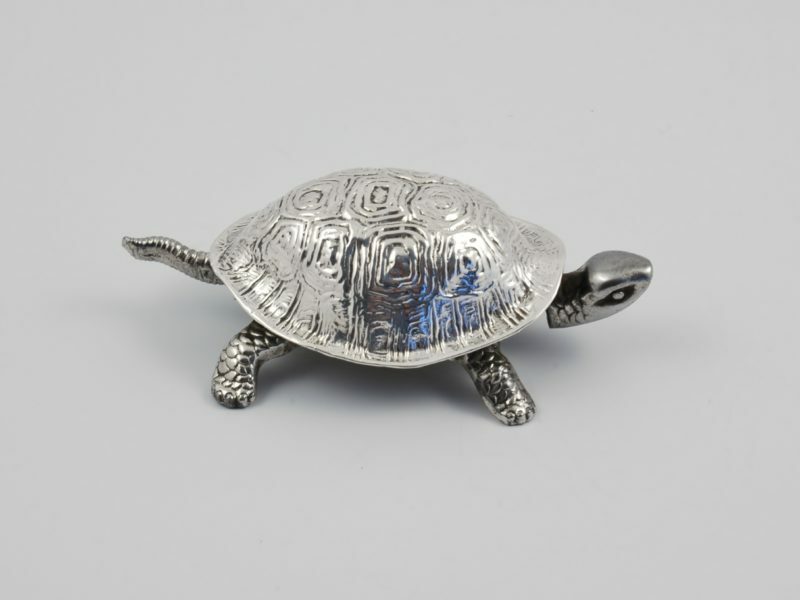 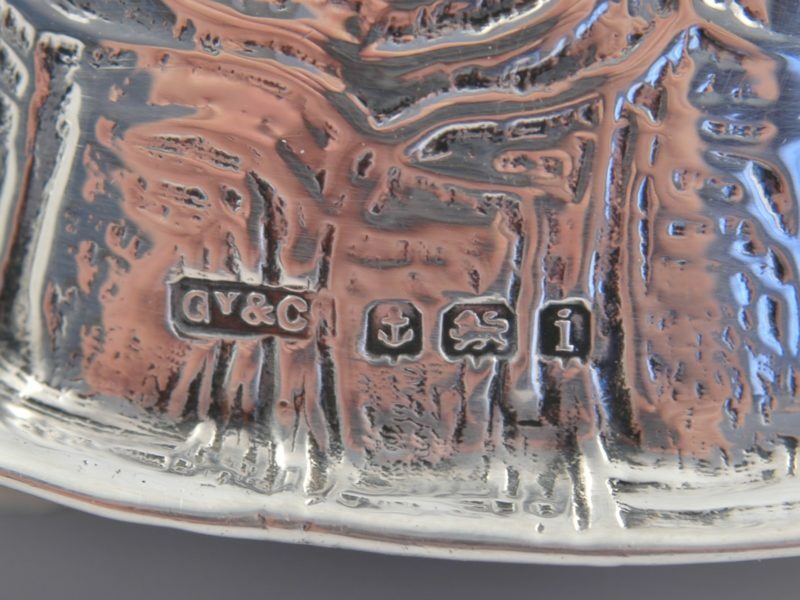 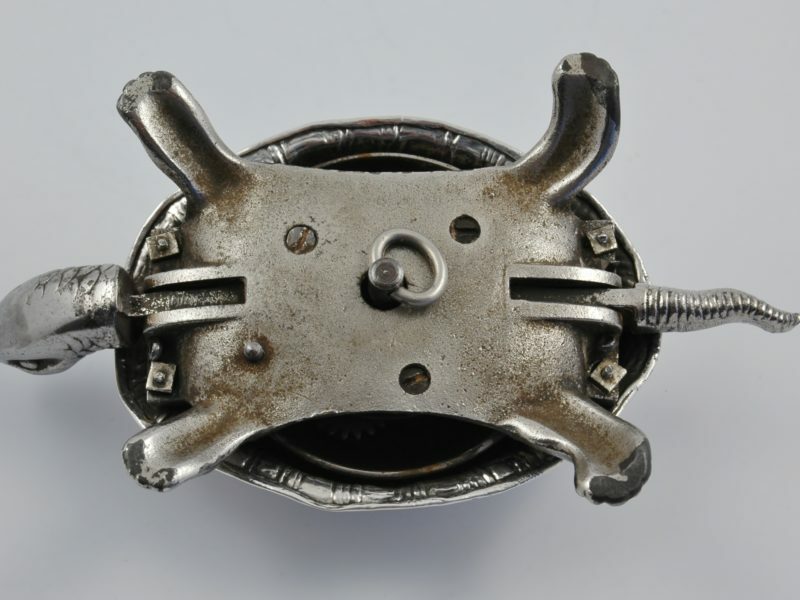 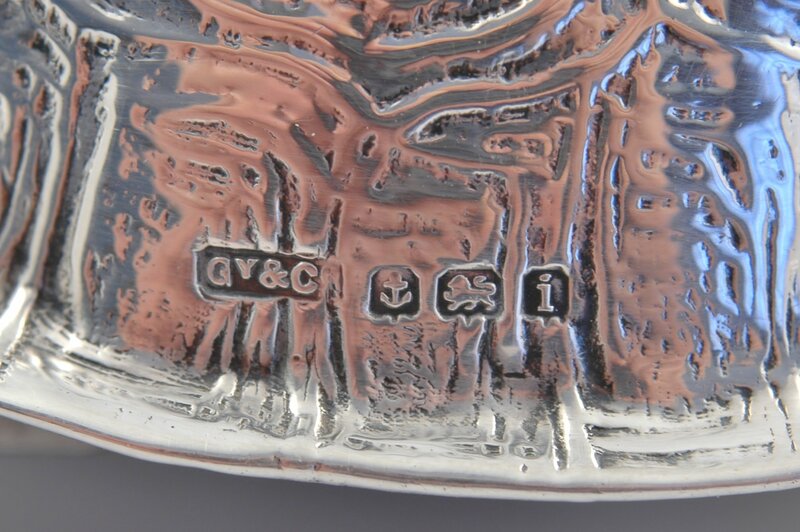 Edwardian silver mounted tortoise table bell marked for Birmingham 1908, by Grey & Co. 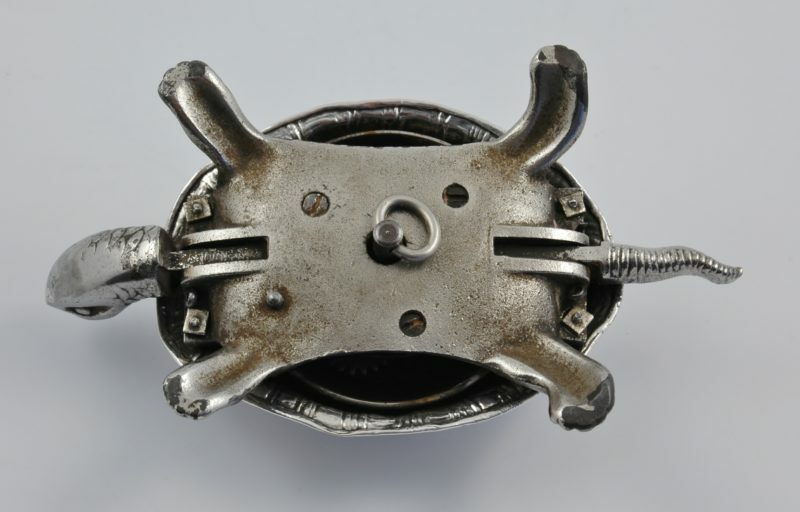 It activates by pushing the head or tail. 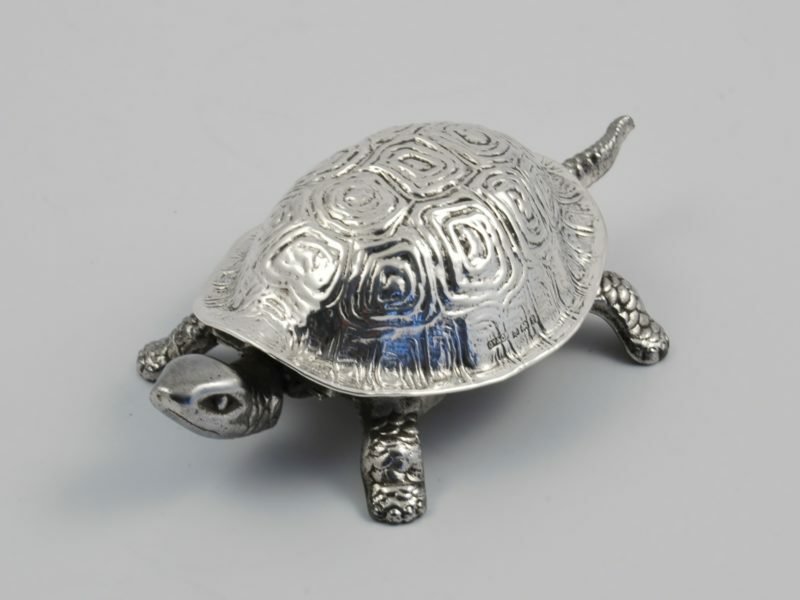 Dimensions: 14,7 cm long by 8cm wide by 4,5 cm high.